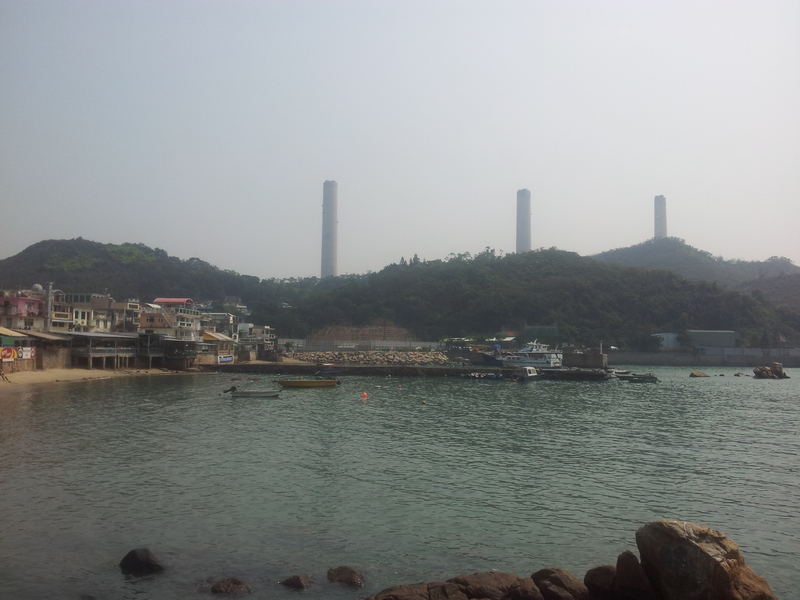 Yesterday we had a family outing to Lamma Island, the third largest island in Hong Kong, known for its seafood restaurants and its iconic three smoke stacks of the coal-fired power station. The ferry ride to Central was gorgeous, we got the open topped ferry so we stood outside in the sunshine and watched all the boats in the harbour. 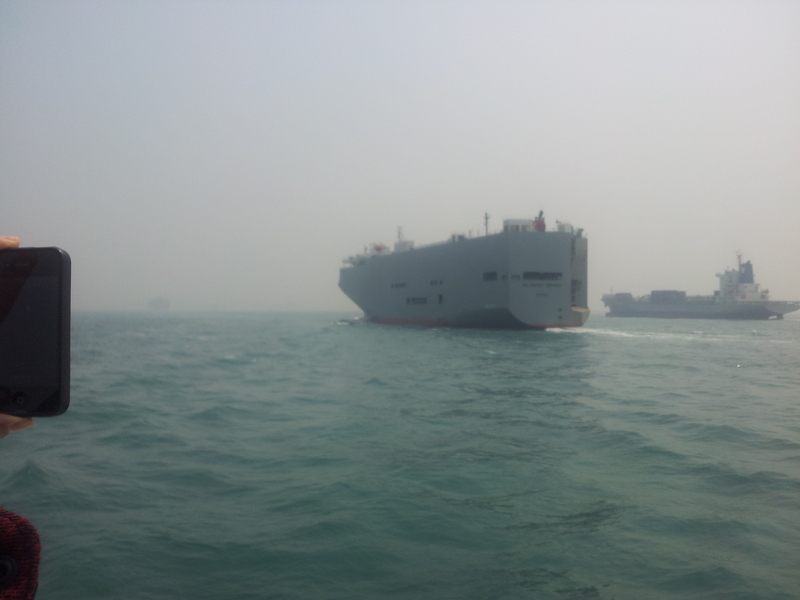 We saw a monster of a ship, which we think is used to transport luxury cars. 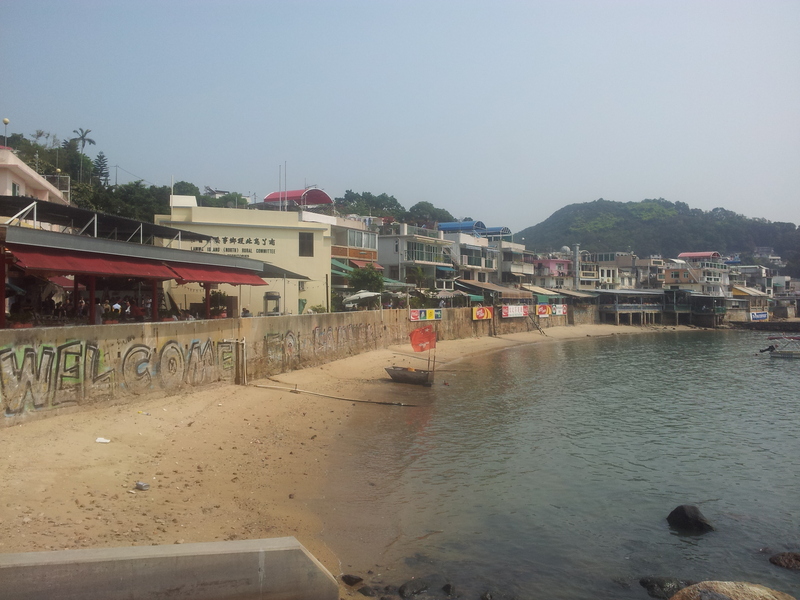 From Central we took another ferry to Yung Shue Wan, the main village on Lamma. It was a really cute little village. No building is allowed to be over 3 stories high so it has a very different feel than downtown Hong Kong, very laid back and quaint. 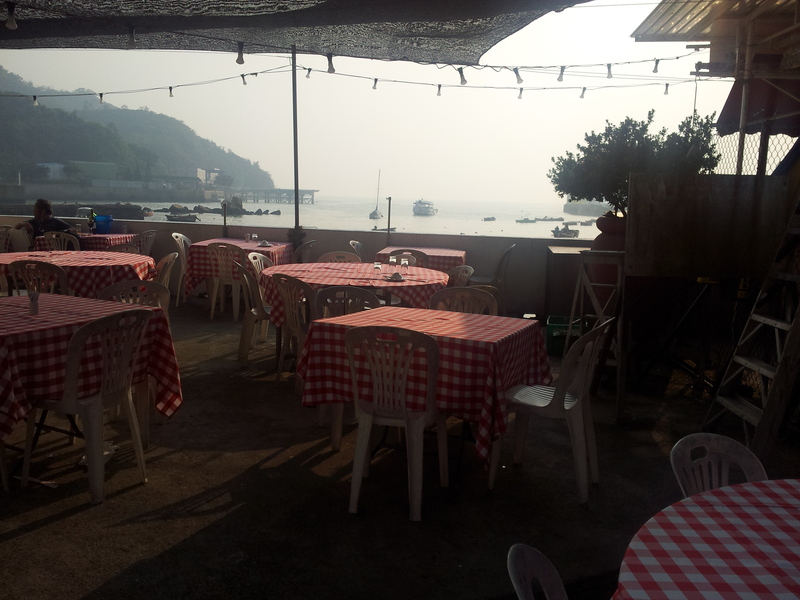 We had a seafood lunch at a restaurant overlooking the water. The food was so fresh and delicious. 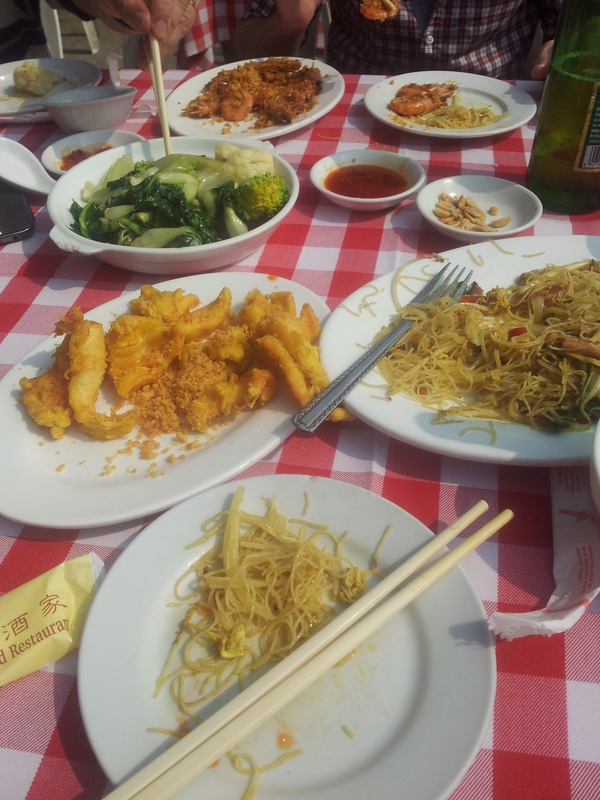 We got Shanghai noodles, spicy garlic prawns, garlic scallops, bok choy, and calamari. Hands down one of the best seafood meals I’ve ever had. 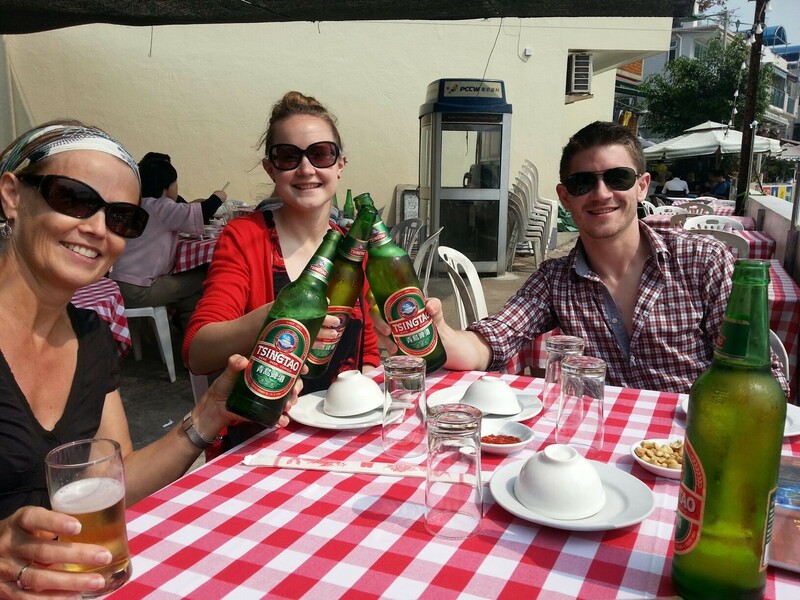 We washed it all down with giant bottles of Tsing Tao beer. After lunch Mom and I wandered around the village and poked in and out of the shops, while the guys found Diesel’s Bar where the F1 race was on so they were happy to stay there and watch it. On the ferry ride back to Central, our ferry hit something, I’m not sure what but it jerked pretty bad and the motor sounded pretty bad for the rest of the journey. This was pretty disconcerting given that we were on the sister ship of the Sea Smooth, which crashed a few months ago. Luckily we got to shore and there wasn’t any panic so I guess it wasn’t as bad as it sounded. 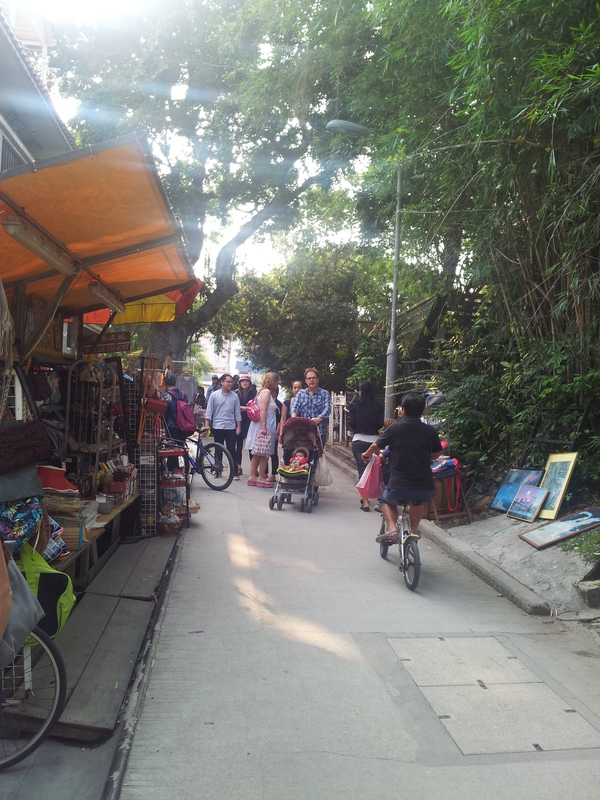 Overall it was a really fun day out, and I’m looking forward to visiting other outlying islands in Hong Kong soon.